Jones Robinson, LLP's principal office is in Houston, Texas. Jeth Jones maintains a practice focused on litigation. He represents individuals and corporations in criminal defense (DWI - Driving While Intoxicated and White Collar Crimes), product liability and commercial litigation matters. He is admitted to practice in the State of Texas and is also admitted to practice before the United States District Courts for the Southern District and Eastern District of Texas. Jeth is a former Assistant District Attorney for Galveston County, Texas and successfully prosecuted numerous criminal trials as lead counsel. Jeth was born in Darlington, South Carolina and is married with one child. He received an undergraduate degree from Hampden-Sydney College in Virginia with a B.S. in Political Science. He received his law degree from South Texas College of Law in Houston, Texas. Jeth is a member of the State Bar of Texas, Houston Bar Association, Galveston Bar Association, Houston Young Lawyer's Association, Texas Young Lawyer's Association, College of the State Bar of Texas ('01,'02), Texas Trial Lawyer's Association and Phi Alpha Delta Legal Fraternity. He has served on the HBA Habitat for Humanity Committee and will Co-Chair the HBA Charity Golf Tournament for 2006-2007. Jeth was recently named a Texas Rising Star for 2005-2006 by Law & Politics, Texas Monthly Magazine and the Rising Stars edition of the Texas Super Lawyers Magazine". 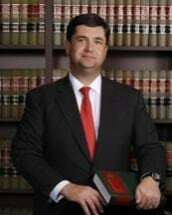 Jeth Jones is a Houston Criminal Lawyer whose office is located very near the Houston criminal courts in downtown Houston. Jeth's firm helps those individuals accused of DWI, Drug Crimes, Juvenile Law and all other state and federal criminal offenses. At the Houston, TX offices of the Jones Law Firm, attorney Jeth Jones represents clients throughout the Gulf Coast, including Galveston, Texas City, Katy, Richmond, Rosenberg, Sugar Land, Clear Lake, Pearland, League City, NASA, Baytown, Deer Park, Pasadena, Humble, Kingwood, The Woodlands, Harris County, Galveston County, Montgomery County, Brazoria County, Liberty County, Chambers County, and Jefferson County, Texas.